For those seeking the most value out of a laptop, the ThinkPad Edge 15 by Lenovo is definitely worth checking out. It is affordable and user friendly, suitable as a small business laptop. Right out the box, the ThinkPad Edge 15 gives of the impression of a rather conservative build. It is very thick and boxy. However, its black matte surface is pretty fingerprint resistant. With 5.5 pounds (2.49 kg), the Edge 15 is not the heaviest laptop in the market, but it is probably more suitable for use at the office desk than on the go. The Lenovo Edge 15 is a laptop with an identity crisis—it's sold as the Flex 2 Pro 15-Inch in non-U.S. markets—but it still has plenty of the same features we love in the Flex line, like a touch screen, now with 1080p resolution and a sizable 1TB hard drive. The Lenovo Flex 2 (15-inch) is still the stronger choice, with better overall performance and battery life, but if you want something with the same 300-degree hinge, the Edge 15 is a decent alternative, and definitely a smart choice if found at a discount. Lenovo's new Edge 15 is an extremely thin and lightweight 15-inch laptop with a 300-degree flexible display hinge. This "dual-mode" laptop lets you turn the laptop into a kiosk-like stand. 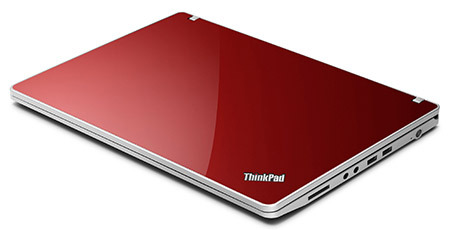 Overall the laptop has excellent performance and a great design. 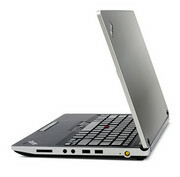 The original price that Lenovo lists on its website is absurdly high but the hardware is sublime. The look and feel of the ThinkPad Edge 15 inch is superb, and the performance of the Core i5 hardware delivers the goods. The only weak part of the specification is the Intel graphics core, which will be a downer for gamers but the rest of us won't care. And using Intel graphics helps to extend the battery life to a credible 114 minutes of continuous use. Our single biggest problem with the ThinkPad Edge is that it is rather expensive, despite its claim to be a budget laptop. We've put only two competing notebook CPUs head-to-head, but the simple comparison tells us an obvious truth; in the mobile space, AMD continues to play second fiddle to Intel. The 2010 Danube platform has its merits - performance is more than decent across the board - but Intel's Arrandale is a step ahead on all accounts. 83% Lenovo ThinkPad Edge 15"
We were a little disappointed by the ThinkPad Edge's smallish hard disk and poor-quality screen and it's missing some of the features many have come to expect from a ThinkPad. However, it does have good battery life, fast performance and a comfortable keyboard all at a surprisingly low price. It's not without its flaws, but it is a good value laptop. The Core i5 processor upgrade for the ThinkPad Edge 15 reaps rewards in general performance as well as graphics capability. Visually and in its overall design, the Edge is a stand-out business laptop. The ThinkPad range is long established as being among the best laptops for be-suited business types in need of reliable mobile computing. Naturally, this has also solidified its status as being among the dullest. The ThinkPad Edge 15 is designed for serious business folks that want to appear trendy. We're not convinced though. Call us cynical, but its fancy lid (available in red or a choice of matte or glossy black) give it an air of mutton dressed as lamb. 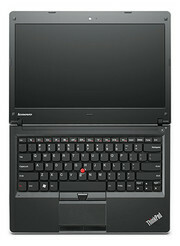 With the Edge, it seems Lenovo has attempted to find a gap between the popular IdeaPad and ThinkPad product lines. 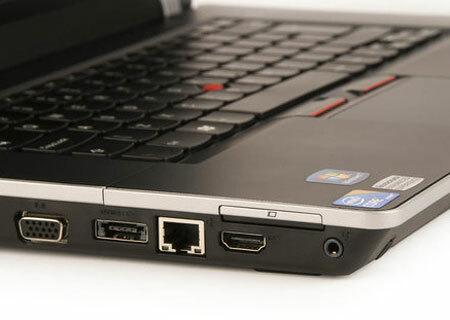 Unfortunately, it seems that gap doesn't exist - and if it does, the ThinkPad Edge hasn't quite managed to find it. If you're in the market for a thin-and-light, you're likely to head for an IdeaPad, whilst business users wanting no-frills stability will opt for the ThinkPad. The Edge series has brought a lot of changes to the ThinkPad name. Most prominently, the glossy painted lid and Chiclet keyboard. With the smaller Edge 13 and Edge 14, build quality wasn't a huge problem; we only had a few minor concerns like screen protection and hinge quality. The Edge 15, with its larger size, seemed to hit the breaking point where the lack of an internal framework created considerable chassis flex around the palmrest and keyboard areas. The Edge 13 had panels that felt as hard as rock with absolutely no keyboard flex, which obviously didn't carry over as the size was increased past a certain point. In the end, our only recommendation would be to steer toward the smaller Edge 13 or 14 if you like the design or look at higher ThinkPad models if you need a 15-inch screen. The ThinkPad Edge is definitely another great offering from Lenovo, especially for people looking for a great mix of business and consumer features. 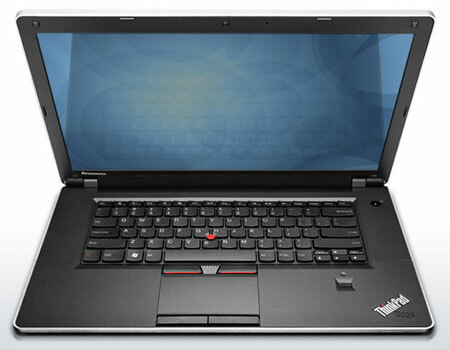 As far as the business aspect goes you do get the ThinkVantage software suite that has a lot of very cool business features many people will like, especially the Active Protection System, which makes sure your hard drive does not get damaged if you happen to drop your laptop. 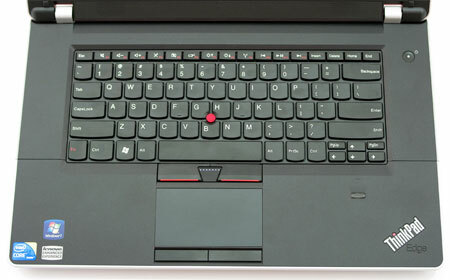 For normal consumers the new red color on the ThinkPad Edge will definitely catch their attention. I don’t know that many other laptops that come in red! The 15-inch Edge is similar to other business oriented, affordable computers available on the market, but it is a solid brand that is available at a reasonable price. Coupled with Windows 7, the 15-inch Edge will meet the needs of not only business professionals, but people seeking a reliable notebook. 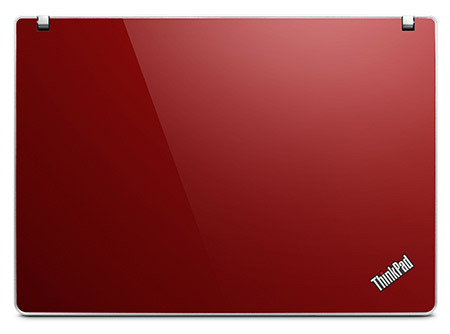 The ThinkPad series is a respected, powerful line of notebooks with a strong reputation of being quality products. Below are a few pros and cons I discovered while using the 15-inch Edge. The Lenovo ThinkPad Edge 15 offers a good choice of features and arguably the best keyboard and pointing device you can get in a sub-$1,000 business notebook. It’s a good blend of style and substance in a reasonably priced package. 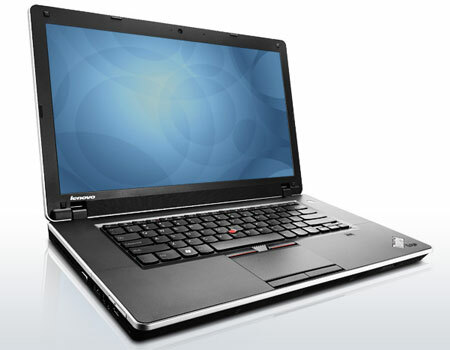 P320: Entry level dual core processor for 13"+ laptops featuring a DDR3 memory controller. 73.26%: This rating is bad. Most notebooks are better rated. This is not a recommendation for purchase.» Further information can be found in our Notebook Purchase Guide.